Introducing the world’s first IsatPhone Pro dock with integrated WiFi HotSpot and data compression. While the SatStation IsatPhone Pro WiFi Dock cradles the satellite phone in a convenient and protective housing, the powerful WiFi capability built right into the dock allows you to connect your iPhone, iPad, or Android mobile device to your IsatPhone Pro to check email and weather. It also creates a powerful firewall for your connection to allow better connectivity and decrease satellite airtime bills. The Satstation IsatPhone Pro WiFi Dock is powered by RedPort Optimizer and when combined with XGate satellite email service, it provides the perfect suite of satellite data connectivity for Inmarsat IsatPhone Pro users allowing users to quickly and easily check and send email and download weather GRIB files. As an added bonus, the Satstation IsatPhone Pro WiFi Dock is extremely affordable and comes with an external active antenna and 6m coax cable. SatStation IsatPhone WiFi Dock offers completely free WiFi capability – right from within the dock. Working with RedPort’s world-renowned XGate email service, you can connect to your IsatPhone Pro satellite feed with your iPhone, iPad, or iPod, Android devices (including tablets), and any laptop. With the powerful firewall of Optimizer and the compression technology of XGate, the IsatPhone Pro can easily be used for affordable email and weather data while in remote locations. The WiFi capability of the SatStation IsatPhone WiFi Dock is so powerful because it is powered by the RedPort Optimizer. This is the only device on the planet that provides complete plug-and-play WiFi internet capability for IsatPhone Pro satellite phones, is 100% compatible with iOS, Android, Mac, Linux, and Windows operating systems, and creates an impenetrable firewall to block all unwanted data usage over a satellite data feed. Not to mention that it provides extensive compression and optimization for satellite internet connections by working hand-in-hand with XGate email service so that you can check and send emails with ease, update Facebook, LinkedIn, and Twitter, maintain a blog, and download GRIB weather files. The Optimizer is integrated right into the SatStation dock – no need to buy any extra equipment or pay more to have it. Any cruiser can appreciate how nice it is to be able to make calls from below deck. The SatStation IsatPhone Pro dock comes with an external antenna to allow you to do just that. With an antenna your signal is boosted and reception is better so that your IsatPhone performs better than it would do on its own. The antenna boosts signal strength up to 20%, is designed as a single pole-mount (includes 6 meter Coax cable), and is built to withstand any weather conditions on the planet. The SatStation IsatPhone Pro dock comes with integrated tracking, right out of the box. You can whip out your iPad or tablet, pull up the tracking app, and see where you are in real time. Many cruisers simply pilot their boat while keeping their eye on their tablet. It’s easy, fast, and responsive GPS positioning – right from the docking station. Any IsatPhone user knows that finding signal can sometimes be difficult and finding signal below deck is impossible, even under the best circumstances. For that reason, an IsatPhone dock with external antenna has been necessary to allow IsatPhone users to make calls and download email and weather from the comfort and safety below deck. IsatPhone Pro docks have traditionally been in the thousand dollar range. Now, for the first time, IsatPhone users can have all the accessibility, convenience, and connectivity of an IsatPhone Pro dock for half the price of all other docks on the market. With the Satstation IsatPhone Pro WiFi Dock, powered by RedPort Optimizer, it’s all possible. Interested in providing your clients and customers with the amazing benefits and airtime saving potential of RedPort products?? 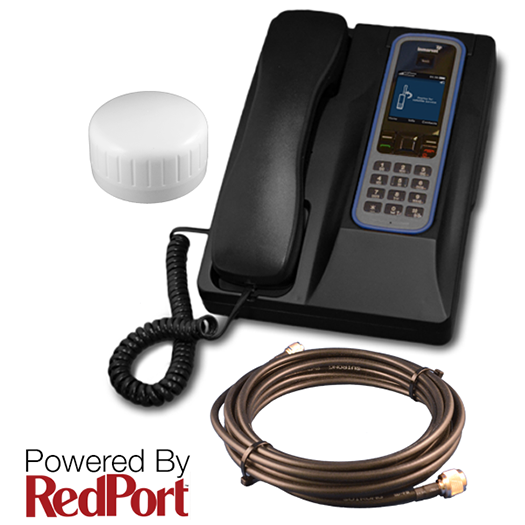 Contact us to become a certified RedPort reseller.